Pley Review & a Pley Giveaway! This post contains affiliate links. I was given a free 3-month trial of Pley to test out. We recently had the chance to test out the website Pley and it’s been a blast! Carter has been loving getting all the different Lego sets in the mail and it’s fun because it’s like getting a new toy every time! If you haven’t heard of Pley, it’s basically like Netflix for Legos. You set up your account and then create your list of Lego sets from their options. You can chose from three levels of accounts: Fan, Super Fan or Mega Fan, which basically means as you go up in fan levels, they gives you more sets to pick from. You can get one set at a time and several a month, and the turnaround time is pretty quick! I was super nervous about losing the Legos, so I can’t imagine having more than one set at a time to keep track of! And by the way, if you do lose one or two Legos from your set, it’s no big deal. All the sets are sanitized between uses, so you know you aren’t getting someone’s germs! For our next set we received the numbers train duplos! I really wanted this one next because Carter is loving trains right now! The second set came in smaller packaging and without all the paperwork telling you what to do, which was fine with me! If you love one of the sets you can actually buy it from Pley at a discounted rate as well! Just for fun here is a little video of Carter opening his first Pley set! Overall being a Pley member has been great for us. The shipments came really fast, we haven’t had any missing pieces, the sets do not look worn or broken. The only con with the duplos is that the sets do not come with instructions. We didn’t need them for the train, but it would have been nice to have for the construction site set. On the other had, Carter had fun playing with them either way so it really didn’t matter! If you’re interested in trying out Pley you can try it free! They let you try one set free and shipping is free both ways! Enter via rafflecopter below and good luck!! 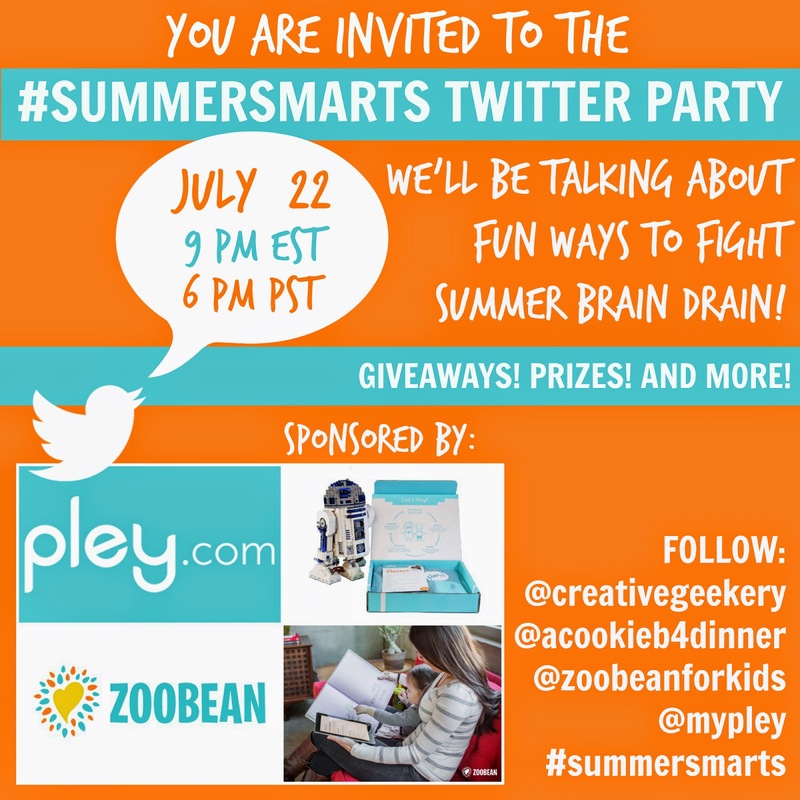 P.S.- Be sure to join us for a Twitter Party on July 22nd at 9:00pm featuring Pley! What a great idea! While I love Legos, they can be expensive to acquire, and the kids get a little bored with the directions after awhile. This keeps the play fresh! How cool! My family would have been all over this when we were little!! Interesting concept. Sounds like it would be popular. My kiddos are still too young but I will keep this in mind for the future. sounds like a great idea! I checked out the website and saw there was a set with larger pieces which would be my pick since my little guy is just 18 months. nice post! I love all of the sets!!! Awesome idea, love that you can try different sets! What a smart concept. I love the comparison to Netflix for Legos! This is such a neat idea and I was a fan of the Rent LEGO set! My boys are obsessed with Lego! They would love the Arctic Set. I love the Duplo train set too! My son would love it! Oh and he would LOVE the number train too, but all are awesome! !